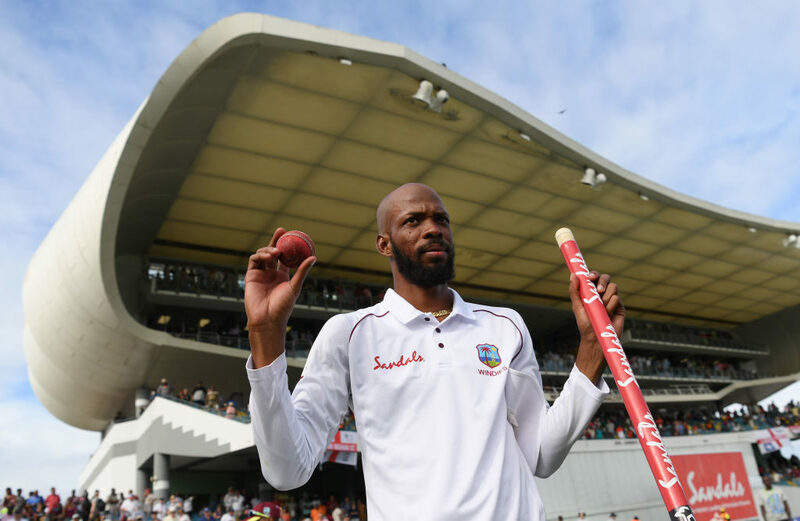 Roston Chase had taken only 42 wickets in the 36 Test innings for the West Indies before he was thrown the ball by his skipper in England’s second innings in the first Test at Barbados. The rest has become magical history for the 26-year-old all-rounder. ‘Looking at the wicket, I always thought I would come into play in the second innings,’ said Chase after the match. 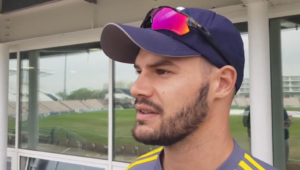 ‘The quicks set it up for us in the first innings, and Mushy told me I’m going to have to bowl 25 overs in the second innings, to get my mind ready for it, so I was always prepared to do some work, to give the pacers a rest. I started to pick up some wickets and it went from there. Chase went on an unstoppable roll, knocking over eight England batsmen to return the awesome figures of 21.4-2-60-8 (econ 2.76). Sadly he wasn’t able to complete his first 10-wicket haul, as he didn’t bowl in England’s abbreviated first innings during which they were bowled out for a humbling 77, with Kemar Roach taking 5-17. Having taken an unexpected 1-0 lead in the three-Test series, the West Indies will want to guard against complacency or another batting collapse like in their second innings. Hopefully, their superb team performance with bat and ball will have fuelled their confidence to ensure they give England a competitive challenge in the second Test at North Sound, which starts on Thursday 31 January. Chase has taken just two five-wicket hauls in his 27 Tests, the first coming in his second Test (5-121 against India), and his second being the sensational 8-60 against England at Barbados. In the 11 previous Test innings prior to England’s second innings in Barbados, Chase had taken a cumulative 7-430 (average 61.42), which just goes to show that in cricket, you just never know when it’s going to be your day.